I’m obsessed with mid-century modern design, from its hip shapes to pops of color to interesting textures. 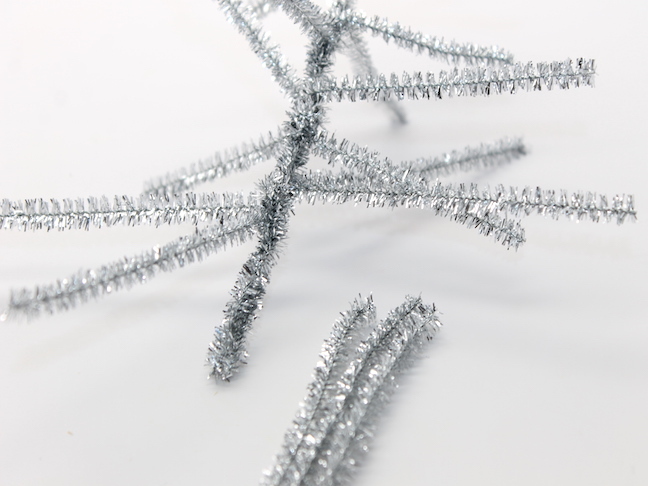 One of the coolest trends during that time period was silver tinsel trees for Christmas. 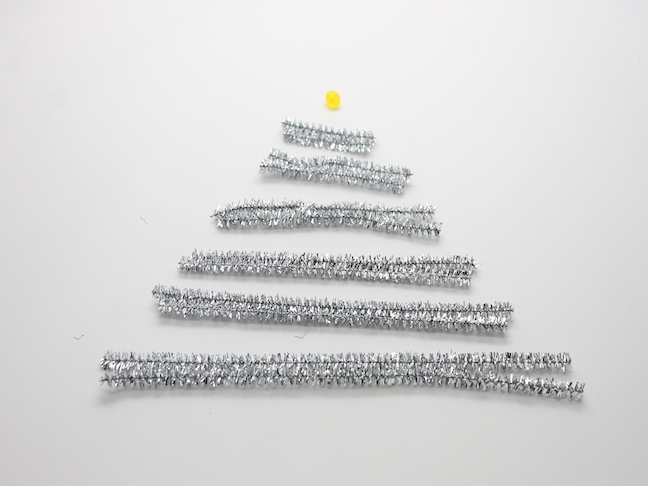 Enter the inspiration for this festive craft for kids. It’s something my son enjoys making — and I’m happy to display in my house (which isn’t something I can say for every craft he brings home!). And here’s something else: My son (just like your kid) can make it on his own. 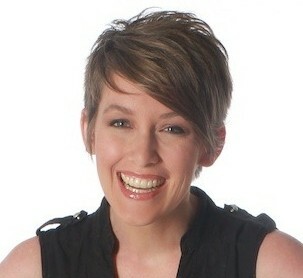 Just set it up, and go do something else while the kids get to work! 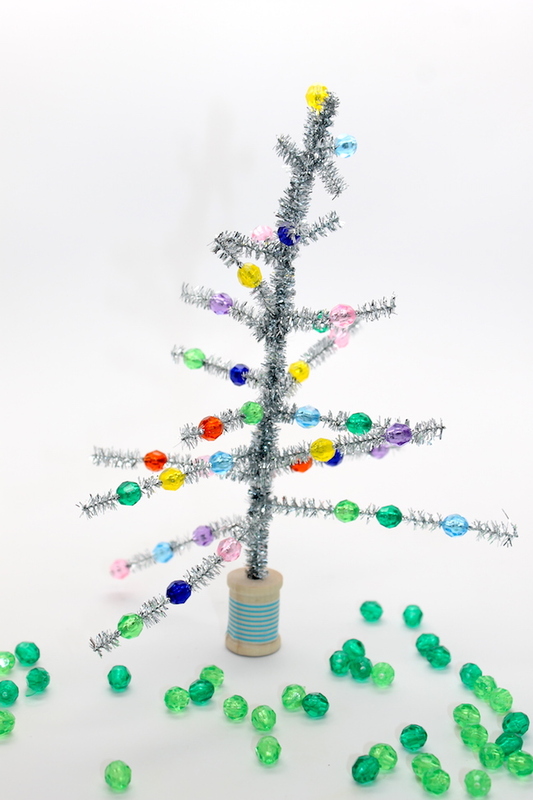 Step 1: To make the trunk of the tree, wrap three pipe cleaners around each other. 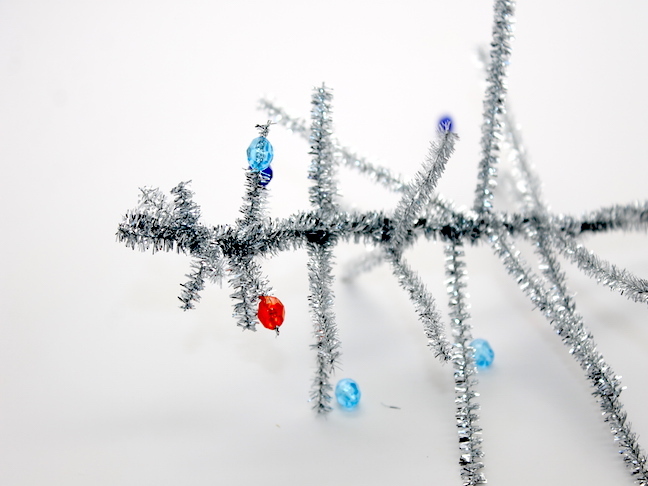 Step 2: Next, you’ll make the branches. 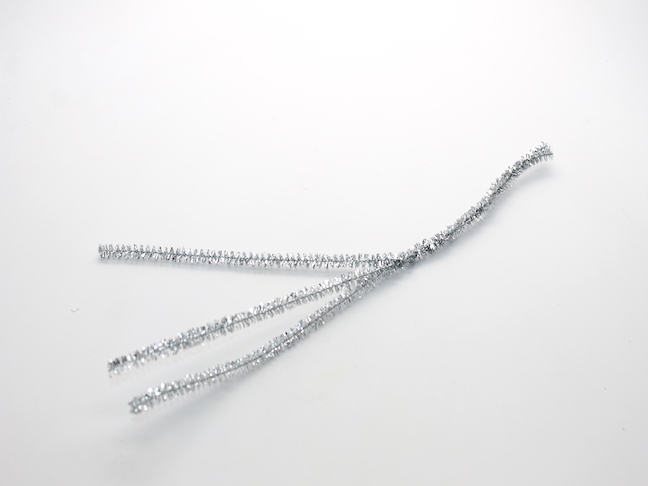 Cut pipe cleaners so you have two strips for each length. 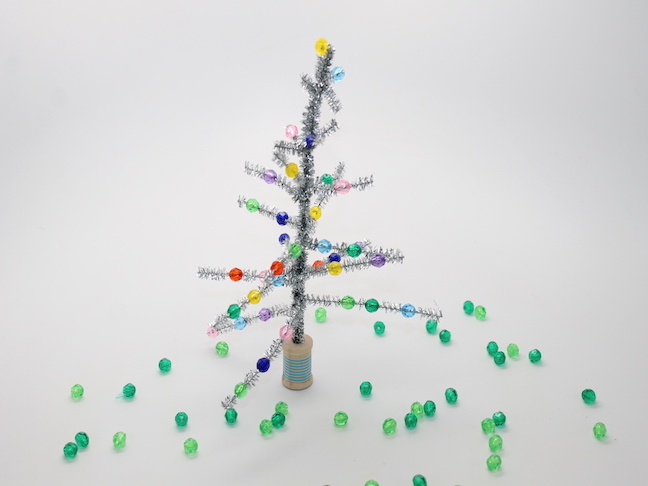 You’ll want six different lengths of pipe cleaners. 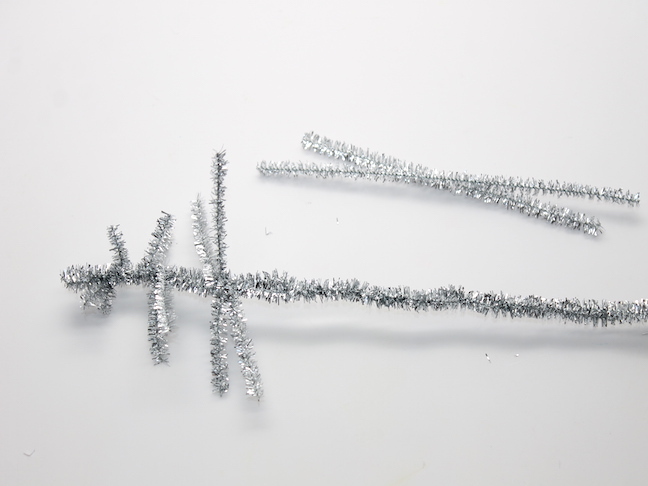 Step 3: Wrap the two smallest strips (branches) around one end of the “trunk.” Leave a space and then repeat with the next size until all of the branches are wrapped around the tree. 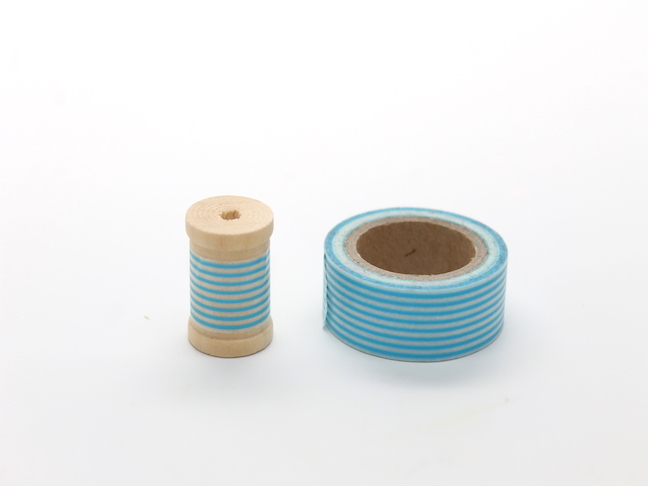 Step 4: Wrap washi tape around the wooden spool to make the base of the tree. Step 5: Cut off the end of the tree trunk, leaving about 1.5 inches at the bottom. 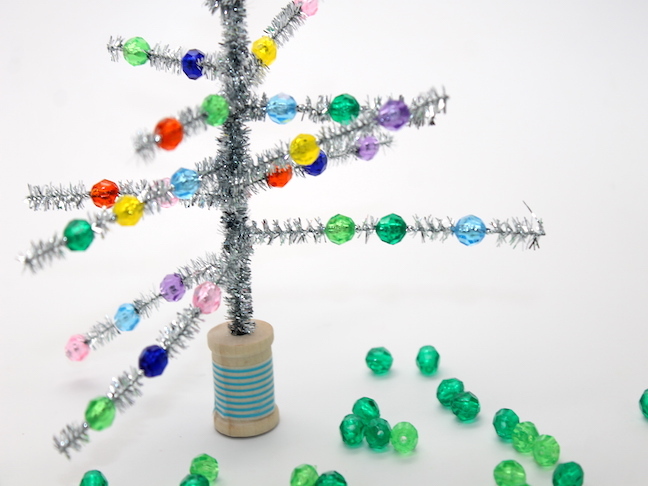 Step 6: Thread the pony beads — your tree’s ornaments! — onto the branches. Step 7: Stick the bottom of the tree into the spool.